Football world’s governing body FIFA is ‘following with concern’ the detention of one of its officials for allegedly defaming the Bangladeshi prime minister, a FIFA spokesman said Tuesday. 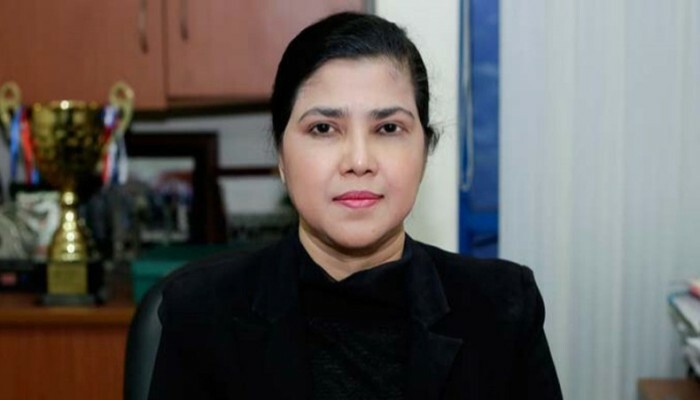 Mahfuza Akhter (Kiron), a FIFA council member since 2017 and the national chief of women’s soccer, was arrested on Saturday after a local football organiser accused her of making derogatory comments about Prime Minister Sheikh Hasina. A court in the Bangladesh capital Dhaka has granted her bail and she is expected to be released in a day or two, her lawyer said. Mahfuza in a press conference last month criticised Hasina for neglecting football in the cricket-mad country. "FIFA is monitoring this matter with concern and working closely with the AFC (Asian Football Confederation)". FIFA’s statement came a day after rights group Amnesty International demanded her unconditional release. “Championing football is not a crime. Mahfuza Akhter Kiron was merely exercising her right to freedom of expression by stating that the Prime Minister favoured cricket over football,” Saad Hammadi, South Asia Campaigner at Amnesty International, said in a statement. If she is found guilty, Mahfuza could be sentenced to a maximum two years in jail. The arrest of the FIFA official marks the latest attack on freedom of expression in Bangladesh, Amnesty International said. Rights groups have accused the Bangladeshi government of using harsh laws to stifle dissent. Scores of people have been arrested under strict internet laws and cases have been filed against at least 200 people for making derogatory comments about Hasina online, according to a cyber crime prosecutor. Mahfuza's arrest came months after Bangladesh detained and charged award-winning photographer Shahidul Alam with making ‘false’ and ‘provocative’ statements in a televised interview in August. He was jailed for 107 days -- the photographer said he was badly beaten while in custody -- and denied bail four times before being freed in November.